John Dewey once said, "Education is not preparation for life, education is life itself." 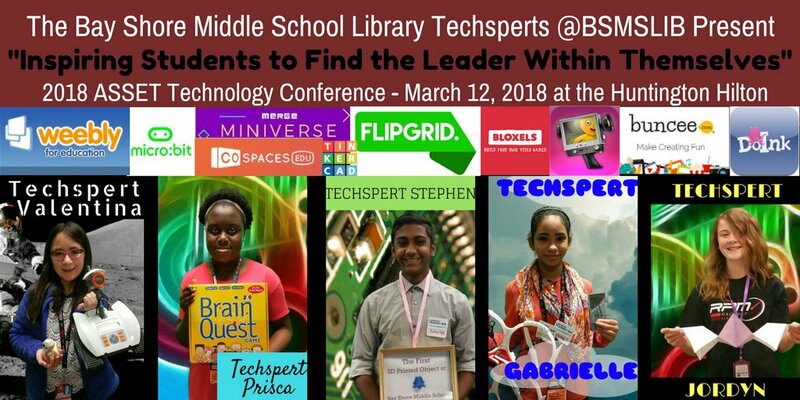 The Bay Shore Middle School Library Techspert team is a group of student leaders. From helping to organize library and makerspace resources to teaching their peers to publicizing programs through social media, this special team uses digital innovation such as Flipgrid, Twitter, 3D printing, green screen technology, virtual reality, web design, and video game creation. Learn how you can develop a techspert team in your classroom, library, or school.